Why is my gate access code not working? If you are certain the gate access code you are entering into our keypad is correct and you are following it with the * key after, then most likely you are locked out of the gate for non-payment. Our system will automatically lock you out of the gate as of the 6th of the month if there is any balance owed on your account. As soon as you pay your full balance, you will have access through the gate. When will I have access to my unit? You will have 24/7 access every day, including holidays! Do you offer boat, RV, or outdoor storage? Unfortunately, we do not offer any outdoor storage for extremely large motor vehicles. We do offer units able to store various motorcycles, cars, or trucks indoors. Why is there another lock, besides my own, attached to my unit and how can I get it removed? 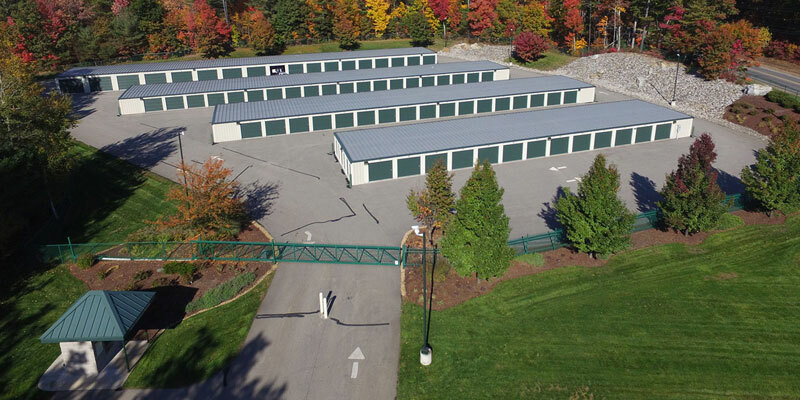 Over-locks are put on storage units with rent that is 30 days or more past due. Once full payment has been made, please contact our office Mon-Fri 8am-4pm to request the over-lock to be removed. Please note that it could take up to 3 business days to have the lock removed. 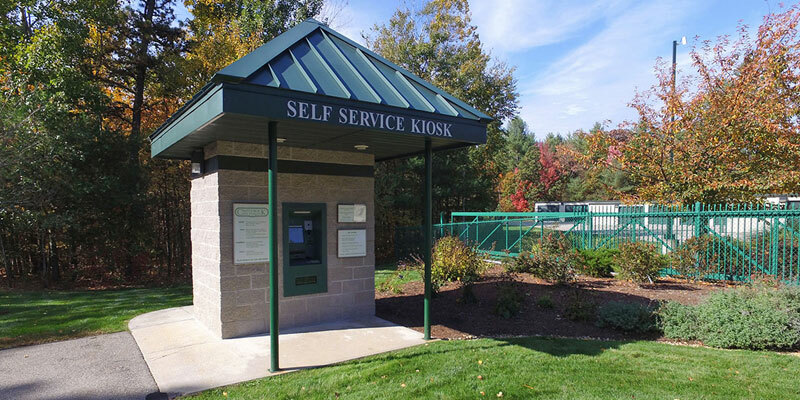 Cash, check, Visa, Mastercard, Discover, and AMEX are all accepted at our 24/7 self-service kiosk. You may also pay online, mail us a check, or contact our main office during office hours to pay via credit card by phone. If you prefer, you may also contact us to set up automatic monthly payments processed on the first business day of the month using your credit card on file with us. Rent is due by the 1st of each month for all units, and assessed a late fee of $25 after the 5th. You may opt to bring your own lock, or you may purchase a cylinder lock for $10 directly from our self-service kiosk. How long of a lease do I need to sign? Rentals are month to month and can be short term or long term, depending on your personal needs. Do you offer insurance for the contents of my unit? It is the tenant’s responsibility to obtain insurance coverage from your own insurance company to better protect your things against potential loss or damage. Please refer to your lease. What do I need to know about the move out process? To avoid being charged additional rent, you will need to vacate the unit and have it completely clean and broom swept and your lock removed prior to the 1st of the month, as well as notify our office immediately once the unit is empty. Please note that we do not prorate rent except during the initial move in. If you move out after the 5th of the month, you must pay the full month’s rent. After the 5th of the month, a $25 late fee is assessed to your account and you will automatically be denied access through our gate until full payment is made. Once your rent becomes 30 days past due, an overlock is put on your unit and an auction sale on the contents of your unit will be scheduled. Additional auction fees may be assessed to your account. Full payment made prior to the auction sale date will stop the auction on your unit. You must then request to have the overlock removed, which could take up to 3 business days. We make every effort to contact you via USPS mail, phone, and email to alert you of a delinquent balance. It is the responsibility of the tenant to ensure we always have the most up-to-date contact info for you.